The Aliwan Fiesta is here again! This coming Friday and Saturday, the Aliwan Fiesta is in town once again, featuring the festivals from around the Philippines. What can you expect from this festival? 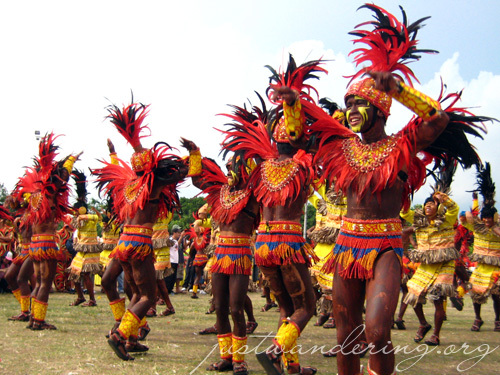 Colorful costumes, heart-thumping beats and performances fueled by passion and Lipovitan. Festivities start on April 23rd, but the highlight of the festival, the Grand Street Parade will be on April 25th. The parade will start at the Aliw Theatre at the CCP complex and will wind its way down Roxas Boulvard to the Quirino Grandstand where all contingents will perform. Go early. Lots of people will also be watching, so be sure to be there early to get good seats. Dress for the weather. It’s been really hot lately, yet it would still rain occasionally. Wear clothes that are comfortable during the intense heat, but be prepared in case it rains. Bring your camera. Lots of photographers will be coming early to take photos of the participants as they assemble before the street parade. If you want to do this too, head early at the Aliw Theatre. Have fun. 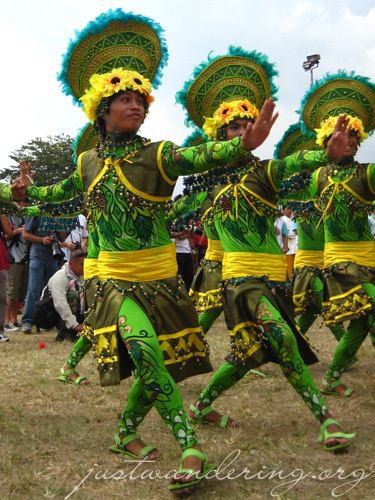 This festival is all about coming together to showcase the best of the Philippines. Sit back and enjoy the show! exciting. sadly we have a medical mission this weekend. enjoy nina! Ehehe, tinulugan ko siya The weather’s been terrible to my health kaya I opted to stay at home nalang and rest. Pero next year, dapat nandun na uli ako!